Family planning: Parents of an autistic child may choose not to have more children. 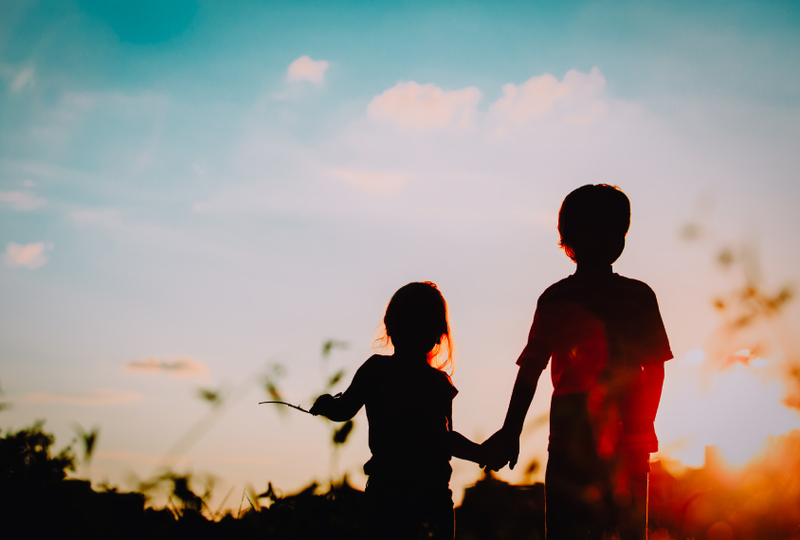 Children who have an older sibling with attention deficit hyperactivity disorder (ADHD) are at an increased risk of having autism, a new study suggests1. The reverse is also true. Autism and ADHD share some features and often co-occur. Other studies have documented the increased risk in siblings for each of the conditions individually. But this is the first study to look at both conditions at once by homing in on the risk in younger siblings. The results bolster the idea that there is a significant genetic overlap between the conditions. “By selecting families who have chosen to have another child after having a diagnosed child, we get a better sense of what really are the genetic contributions, and more reliable recurrence risk estimates,” Miller says. Miller and her colleagues looked at medical records from two large healthcare systems in the United States. They identified 15,175 children aged 5 or older who have at least one older sibling; of these children, 158 have an older sibling with autism and 730 have one with ADHD. Children who have an autistic older sibling have 30 times the odds of having autism compared with children who have a typical older sibling; children who have an older sibling with ADHD have 13 times the odds of having ADHD themselves. “Both these outcomes confirm the familial factor in these neurodevelopmental disorders,” says Tinca Polderman, assistant professor of complex trait development at Vrije Universiteit Amsterdam in the Netherlands, who was not involved in the work. But the scale of the autism effect is “astonishing,” she says. Previous studies have pegged that increase at 14-to 20-fold. Having an older sibling with either condition also increases a child’s odds of the other condition: Children with autistic older siblings have 3.7 times the typical odds of having ADHD, and those with an older sibling who has ADHD have four times the usual odds of having autism. The findings appeared in December in JAMA Pediatrics. The children in the study are predominantly white. Non-white children are more likely to be diagnosed with ADHD than with autism, so it would be interesting to repeat the study in a more diverse group, Yerys says. Miller and her colleagues are following children who have an older sibling with either condition to track the onset of features early in life. Boys are more likely than girls to be diagnosed with either condition, and children with older mothers are more likely than those with younger ones to be diagnosed with autism. These findings are all in line with those from previous studies. However, the new study found that having an older mother lowers the odds of having ADHD. The reason for this finding is unclear. Still, Polderman cautions, the absolute risk of having a second child with either condition is small. The new study might inflate the risk because parents with one diagnosed child may be more likely to scrutinize milestones than other parents are. Yet again, another misleading headline from Spectrum News. Nothing in the study addressed “genetics,” only heritability. Not a single gene was examined. The headline should have read, “Sibling study bolsters role of heritability in autism, attention deficit.” Genetics is just one aspect of heritability, particularly of neurobehavioral traits, which may be highly influenced by lesions not just in genes but in the germline chromatin architecture and epigenomic program, factors that can be influenced by exogenous exposures. The question is not simply “what genes” but “what may have impaired the molecular integrity of parental gametes so as to increase the risk for neurodevelopmental dysregulation in offspring?” I discuss 24 mammal and human studies reflecting these effects (via germ cell exposure to tobacco smoke, synthetic steroid hormone drugs, and agents of general anesthesia) in a recent blog: http://www.germlineexposures.org/blog/brain-development-depends-on-the-gamete-epigenetic-program-so-why-arent-we-investigating-the-heritable-impacts-of-general-anesthesia. Really, Spectrum, enough with equating heritability to genetics. That’s very 1990s of you. But enough.